Doc is afraid the news for the USPS is only going to get worse, though they may, with appropriate cuts, be able to stop some of the heaviest bleeding. But we have to decide how valuable mail service is to America and pony up the money or be willing to spend more on postage rates. 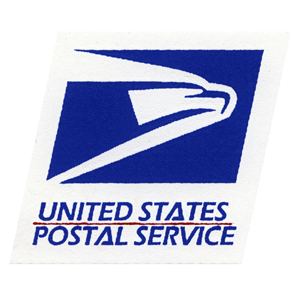 Regular Doc readers know that I've covered the goings on at the United State Postal Service for some time now, as postal rates and service have an impact on all businesses. Well, the news isn't getting any better, I'm afraid. The U.S. Postal Service ended the first three months of its 2012 fiscal year (Oct. 1 – Dec. 31, 2011) with a net loss of $3.3 billion. Management expects large losses to continue until the Postal Service has implemented its network re-design and down-sizing and has restructured its healthcare program. Additionally, the return to financial stability requires legislation which gives the Postal Service typical commercial freedoms, including delivery flexibility, returns over $10 billion of amounts overpaid to the Federal Government, and resolves the need to prefund retiree healthcare at rates not assessed by any other entity in the United States. Stronger than expected holiday shipping activity, driven by strong growth in online merchandise sales and successful USPS marketing efforts, helped the Postal Service grow its competitive Shipping Services business in the first quarter, with revenue totaling $2.8 billion, an increase of $179 million or 7 percent over the same period last year. However, declines in First-Class and Standard Mail of $650 million were 3.7% percent of total revenue and greatly exceed the gains made in the package business. First-Class Mail declines due to electronic migration of transactions are expected to continue for the foreseeable future. Mailing Services revenue, excluding First-Class Mail parcels, totaled $14.5 billion, a decrease of 2.9 percent. First-Class Mail continued to decline, with revenue decreasing 4.1 percent compared to the same period last year. First-Class Mail revenue has declined nearly 15 percent and volume has declined 25 percent since volume peaked in 2006. While some of the decline is attributable to economic weakness since 2007, the more significant factor is the continuing transition to electronic alternatives. And there's the rub – the continued transition to electronic alternatives. Doc is afraid the news for the USPS is only going to get worse, though they may, with appropriate cuts, be able to stop some of the heaviest bleeding. But we have to decide how valuable mail service is to America and pony up the money or be willing to spend more on postage rates. There is no easy solution.